^ Pacific Rim Report No. 32, February 2004, The Chinese Rites Controversy: A Long Lasting Controversy in Sino-Western Cultural History 互联网档案馆的存檔，存档日期2010-06-26. by Paul Rule, Ph.D.
^ George Minamiki. 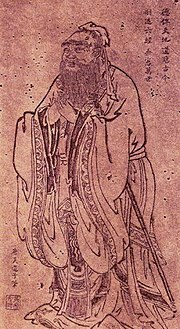 The Chinese rites controversy: from its beginning to modern times. Loyola University Press. 1985 [2013-02-20]. ISBN 978-0-8294-0457-9. ^ Edward G. Gray; Norman Fiering. The Language Encounter in the Americas, 1492–1800: A Collection of Essays. Berghahn Books. 2000: 117 [2013-02-20]. ISBN 978-1-57181-210-0. ^ 10.0 10.1 Jocelyn M. N. Marinescu. 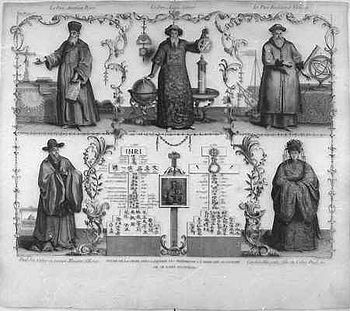 Defending Christianity in China: The Jesuit Defense of Christianity in the "Lettres Edifiantes Et Curieuses" & "Ruijianlu" in Relation to the Yongzheng Proscription of 1724. ProQuest. 2008: 265 [2013-03-04]. ISBN 978-0-549-59712-4.